It’s just past noon on March 30, 2011. The entire executive team from Zite is at the Sharon Heights Starbucks in Menlo Park—the usual hangout for entrepreneurs making the venture circuit. They’re killing time between VC meetings on Sand Hill Road, and they’re a little nervous. But it’s not because of the meetings, or the coffee. It’s because of what they’ve just received in their e-mail: a cease-and-desist letter from a posse of 11 media giants—including Dow Jones, the Associated Press, Time Inc., and the Washington Post—whose content occasionally shows up in Zite’s personalized news reader app. It’s only been three weeks since the launch of Zite’s iPad app, which has already acquired more than 125,000 users. But the C&D letter threatens to put a crimp in the Vancouver-based company’s growth, and in its fundraising efforts. The media companies charge that Zite’s app “damages our business by misappropriating our intellectual property” and demand that the startup stop using their content. Without articles from these organizations and their 300 newspaper and magazine properties, Zite would start to look thin indeed. Half an hour ticks by. Just when it looks like things can’t get any worse, a leaked copy of the C&D shows up on AllThingsD, the Dow Jones-owned tech blog. Kara Swisher, the reporter with the scoop, calls the letter “legally lethal.” The team’s dismay level ratchets up a few bars. “We hadn’t even had time to digest it,” recalls Mark Johnson, an advisor to the company who would shortly become its CEO. “And we were like, ‘Sh-t, we are going to have to go into the next meeting'” with a well-publicized legal storm hanging overhead. That soon turns out to be literally true. Over the next few months, the startup figures out how to mollify its media critics by changing the way the app displays their stories (it switches to a full Web view rather than a stripped-down reading view, sans ads). And just five months after the VC meetings, Zite gets snapped up by Atlanta-based CNN. These days, if anybody is still upset with Zite, they’ll have to take it up with CNN or its parent company, a little outfit called Time Warner. 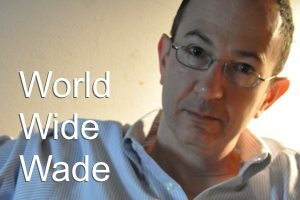 Wade: A pattern is forming. I start hearing about a new technology or service. I mean to check it out. I get distracted. I forget. And then you write a comprehensive piece on exactly that “new new thing” and sort it all out for me. I don’t necessarily dive in because you do–sometimes the opposite. Like when you tested iCloud day one and it was a cautionary tale. But in the case of Zite, you decoded the hype from reality and made me genuinely interested. Thanks! Jules: Thanks as always for your kind comments. Being a scout and sorter-outer is exactly what I’ve been trying to do with this column over the years. (This is the 177th episode, if you can believe that.) Glad you are interested in Zite now — there is no cost to checking it out, other than your time. As for signing up for iCloud, I think it’s safe to proceed now. Just be sure you have a backup of your calendar data! Great write-up. Zite is an excellent app and has done an impressive job of going mainstream, better than any other personalized news app. Every person who uses Flipboard should at least use Zite in addition to Flipboard. For me, Zite has almost completely replaced Flipboard. The only shortfall I see is discovering content on niche topics. While it offers many pre-defined topics, you can’t follow, say, content discovery. You could follow a related topic and hope that Zite sees that you’re interested in content discovery, but that’s not good enough. It would be nice if there was even an imperfect way to follow any topic. I complement Zite with Trapit, which allows me to follow any topic, and finds good results for obscure topics like content discovery. Coleman: Thanks. I agree that Trapit’s technology will play a role as this whole area develops. FYI, I profiled the company last October, and they say they’re working on an iPad app of their own. Actually, I read that one, too. It is the best write-up I have seen on Trapit, and I have seen a lot, because I am kind of obsessed with Trapit and content discovery in general. By the way, what do you think about Prismatic (http://getprismatic.com)? It’s like a web-based Zite. I have been extremely impressed by its recommendations and UI. Seems like a lot of people are equally excited about it, too. Old media and new media need to learn from one another and we will all win… As this article proves, as long as everyone gets paid they can play well in the sandbox.